This is a wonderful two-story townhouse at Leeward in the Islands at Doral. One of the most appealing features is that there are four bedrooms and three baths of which a full bed and bath are situated on the main level with the others upstairs. Ideal for a family, this property is open and inviting with nice features such as tile floors on the first level and laminate flooring on the second as well as stairs. Leeward is ideally located close to shopping, schools and golf. Additionally, it offers easy access to major thoroughfares into and out of South Florida. 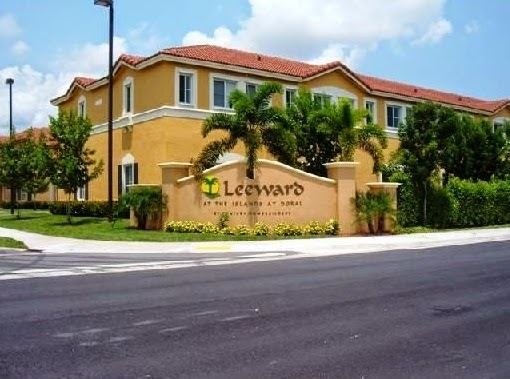 There are 14 properties for sale at Leeward with comparable units priced between $299,999 and $350,000 (this is the most efficiently priced unit of this size). Over the past six months, three units have sold with sale prices $275,000 and $280,000 and the average number of days on the market at 118 days. As for rental investments, Leeward is very popular with renters and features monthly rental rates $1,800 and $2,100 (four bedrooms and three baths) for annual leases. This single-story corner unit features three bedrooms, two baths and a nice kitchen with room to move. Built in 2000, Las Brisas is a guard-gated community and perfect for anyone wanting extras like tennis courts, a fitness center, pool and even a playground for kids. 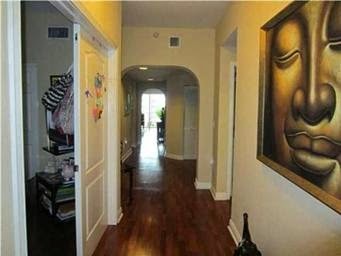 It is centrally located close to schools, shopping and restaurants. Additionally, Las Brisas at Doral is just a short drive from excellent golf courses including Trump National. There are currently 13 units for sale each offering two and three bedrooms with square footage between 1,260 and 1,420 square feet. Over the past six months, three properties at Las Brisas have sold of which two have three bedrooms. The average number of days on the market for these three was 157 days. Las Brisas at Doral properties are excellent investments with rental rates for similar units coming in around $1,800 to $2,000 per month for annual leases. Newly built in 2013, this is a wonderful unit at the highly sought after Grand Bay. It features over 1,200 square feet that encompasses a large and roomy kitchen with granite counter tops, stainless steel appliances and custom cabinets as well as three bedrooms and two and a half baths. In addition to lovely lake views, Grand Bay has excellent amenities including an expansive two-story clubhouse with oversized pool, sundecks, a kids’ water park, fitness center with aerobics rooms, tennis and basketball courts, a great playground, park area and more. Other similar properties have similar list prices. This property is under lease until January 2015 with similar properties for rent with rental rates between $2,000 and $3,000 per month. Grand Bay is a new community with a lot to offer. This is a huge opportunity to live in highly sought after Doral Isles Captiva. The features include two bedrooms and two baths, hardwood floors throughout the unit along with arched doorways and a lovely kitchen with tons of counter and custom cabinet space. In the main living area, there is a stunning tray ceiling that highlights the room. 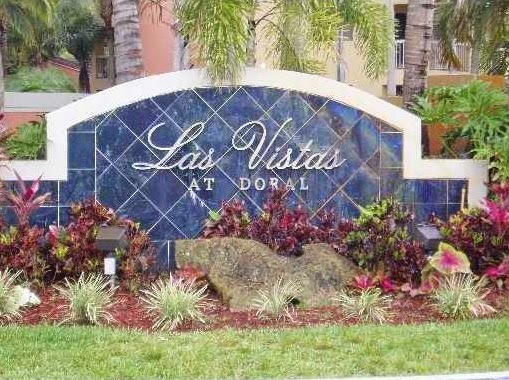 Nothing compares to living in Doral Isles with all the amenities. The pools alone are spectacular as are the clubhouse, fitness center, playgrounds and more. Add to that the fact that the community is gated makes this the best place to live. Additionally, major thruways into and out of South Florida are very close by for easy access. List prices at Captiva are priced between the upper-$200s and the mid-$400s with two-bedrooms priced up to the mid-$300s. Investors should note that rentals in Captiva have monthly rates from about $2,000 to $4,000. This is an excellent opportunity to buy great Doral real estate that is ideal for first-time buyers, investors and those who want to downsize or buy vacation property. Costa del Sol is a wonderful gated townhouse and golf community centrally located in the heart of Doral. This residence features two bedrooms and two and a half baths plus a den as well as a brand new kitchen with stainless steel appliances and double granite counter tops, custom California closets, and continuous Spanish ceramic floors throughout the entire residence. Costa del Sol offers residents tons of amenities including a great playground for kids, a wonderful community pool, a golf club and more. Properties at Costa del Sol are priced between the high-$200s and mid-$400s for two and three bedroom townhouses. Over the past six months, 21 residences in Costa del Sol have sold with sale prices falling between the mid and upper-$200s and the average number of days on the market at about 93 days. 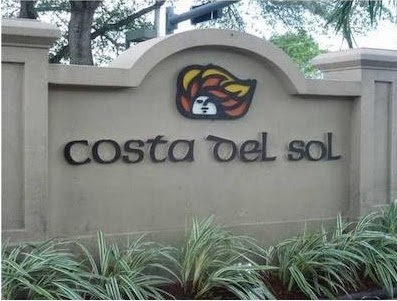 For investors, rental rates at Costa del Sol range between $2,000 and $3,000 per month. 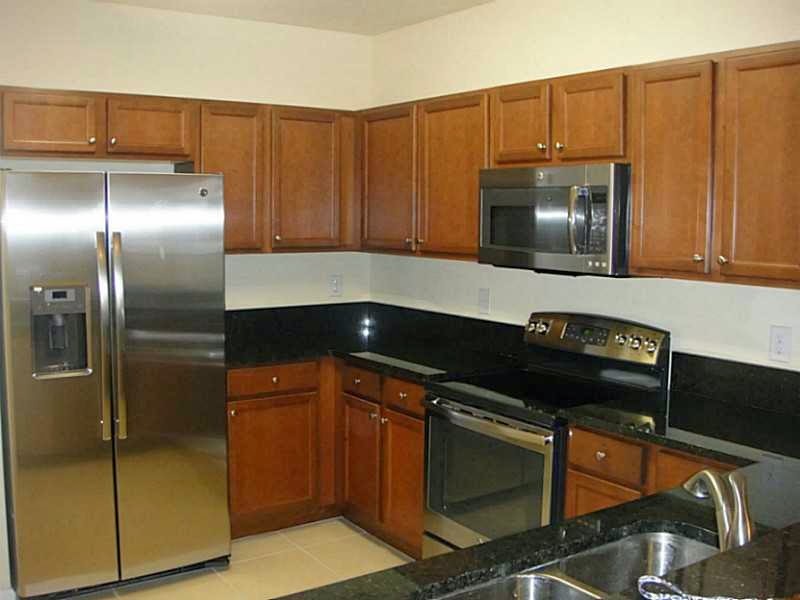 Doral real estate offers lots of options for about $300K. By heading west a short distance from Miami, potential buyers can get much more bang for their buck. Whether a first time buyer, someone who is interested in vacation property or investor wanting rental property, Doral is a great place to consider.